Antietam, MD – Vivian Viola Carbaugh, 86, of Antietam, MD and formerly of St. James, MD passed away on Thursday, September 6, 2018 at her home. She was born on December 2, 1931 in Antietam Furnace, Maryland to the late Austin Sherwood and Fannie Magdalene Mills Stottlemyer. She was preceded in death by her husband, Frederick R. Carbaugh on June 5, 1989. Vivian was a 1949 graduate of Boonsboro High School Boonsboro, MD. Vivian retired as a contract Bus Driver with the Washington County Board of Education in 1983, and prior to that she farmed with her husband. 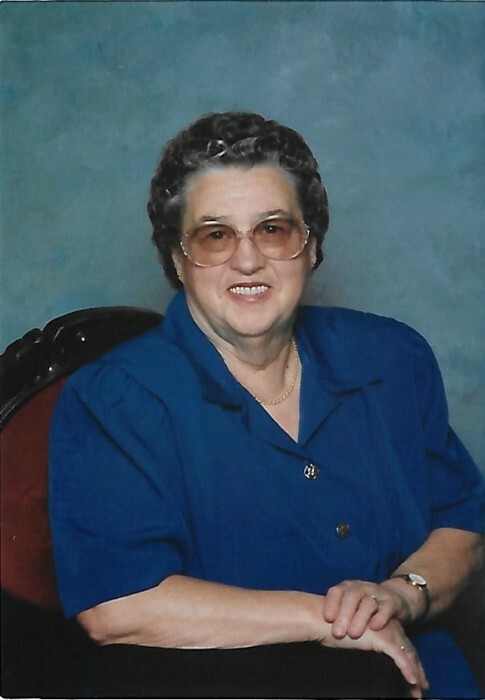 She was a member of Hagerstown Bible Church and was an active member for 54 years. She served as a Head Deaconess and also taught Sunday School for many years. Most recently she was attending Burnside First Church of God in Sharpsburg, MD. Vivian was also a member of the Washington County Farm Bureau. She was previously involved with the PTA in Sharpsburg, Boonsboro Senior High School Band Boosters, and Friends of Reeder’s Memorial Home where she volunteered. She is survived by her daughter Dinah M. Marshall and her husband Keith of Sharpsburg, MD; son Doug R. Carbaugh and his wife Carole of Hagerstown, MD; sister Elaine Rowe of St. James Village, MD; sister Amelia Fisher of Frederick, MD; grandchildren Chad Marshall, Chante’ Michaud, Nicole Marshall, Lance Marshall, Laura Gates, and Jacob Kelley; 9 great grandchildren. She was predeceased by a son Dale F. Carbaugh and her longtime friend Denver Barnes of Everett, PA. The family will receive friends at the Osborne Funeral Home 425 S. Conococheague St. Williamsport, MD on Monday, September 10, 2018 from 6:00-8:00 pm. The funeral home will be open after 1:00 pm on Monday for the convenience of family and friends. Funeral services will be held at Hagerstown Bible Church on Tuesday, September 11, 2018 at 11:00 am with Pastor Dale R. Carver and Rev. Ernest E. Witmer officiating. Interment will be in Mt. View Cemetery Sharpsburg, MD.